High View 308 Post Office address, opening times and phone number. View the post offices services available at High View 308 Post Office in Croydon, Surrey. 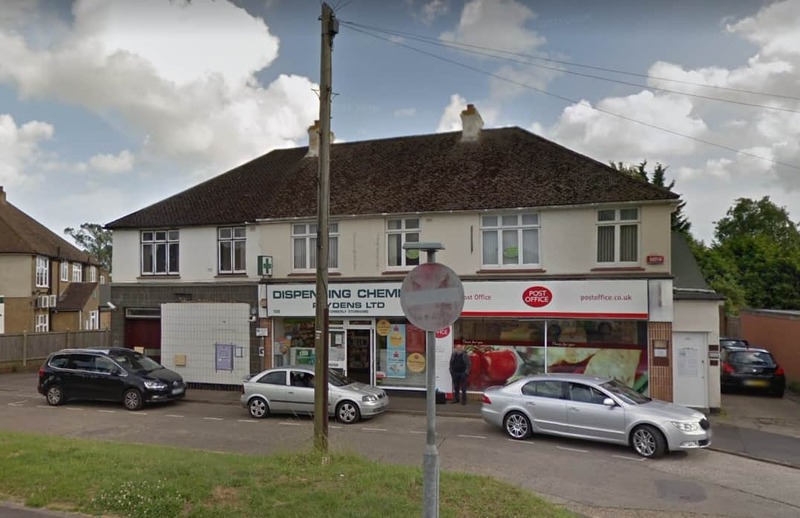 Sanderstead Post Office address, opening times and phone number. View the post offices services available at Sanderstead Post Office in Croydon, Surrey. Whyteleafe Post Office address, opening times and phone number. View the post offices services available at Whyteleafe Post Office in Croydon, Surrey. Hamsey Green Post Office address, opening times and phone number. View the post offices services available at Hamsey Green Post Office in South Croydon, Surrey. Wickham Road 134 Post Office address, opening times and phone number. View the post offices services available at Wickham Road 134 Post Office in Croydon, Surrey. Selsdon Post Office address, opening times and phone number. View the post offices services available at Selsdon Post Office in Croydon, Surrey. Broom Road Post Office address, opening times and phone number. View the post offices services available at Broom Road Post Office in Croydon, Surrey. Crossways Post Office address, opening times and phone number. View the post offices services available at Crossways Post Office in Croydon, Surrey. Field Way Post Office address, opening times and phone number. View the post offices services available at Field Way Post Office in Croydon, Surrey. Central Parade Post Office address, opening times and phone number. View the post offices services available at Central Parade Post Office in Croydon, Surrey. Headley Drive Post Office address, opening times and phone number. View the post offices services available at Headley Drive Post Office in Croydon, Surrey. South Norwood Post Office address, opening times and phone number. View the post offices services available at South Norwood Post Office in Croydon, London. Thornton Heath Post Office address, opening times and phone number. View the post offices services available at Thornton Heath Post Office in Croydon, London. High View Post Office address, opening times and phone number. View the post offices services available at High View Post Office in Croydon, London. The Pond Post Office address, opening times and phone number. View the post offices services available at The Pond Post Office in Croydon, London. Addiscombe Exchange Post Office address, opening times and phone number. View the post offices services available at Addiscombe Exchange Post Office in Croydon, London. Morland Road Post Office address, opening times and phone number. View the post offices services available at Morland Road Post Office in Croydon, London. Mitcham Road (234) Post Office address, opening times and phone number. View the post offices services available at Mitcham Road (234) Post Office in Croydon, London. South End Post Office address, opening times and phone number. View the post offices services available at South End Post Office in Croydon, London. West Croydon Post Office address, opening times and phone number. View the post offices services available at West Croydon Post Office in Westminster, London.